Low Temperature Condensed State Physics (Sasaki lab. 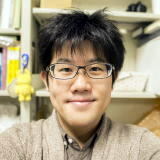 ), IMR, Tohoku Univ. Phys. Rev. B 88, 125101 (2013). Phys. Rev. Lett. 110, 106401 (2013). J. Lumin. 133, 149 (2013). Phys. Rev. B 81, 155111 (2010).